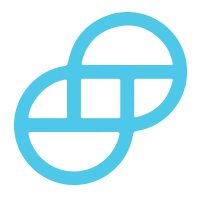 Gemini is a Bitcoin and Ether trading platform founded by the Winklevoss twins. It offers user-friendly basic buying options, making trading easy for beginners. In addition, deposits in all payment methods are free of charge on this platform. Gemini is a Net York-based digital asset exchange. It welcomes individuals and institutions who want to trade bitcoins. The website is regulated by the New York State Department of Financial Services. It holds the highest level of capital reserve and banking compliance standards. This means it is reliable, safe, fair, and secure. The crypto exchanges platform launched in October 2015. It was well-received by new and experienced traders. Thanks to Gemini’s unique features, want to try trading bitcoins. The website is functional and exhibits simplicity. Only the necessary options are present. The site is easy to navigate even for novice traders. Everything you need is present and laid out in an organized manner. When it comes to support, Gemini provides a dedicated support page. You can send your suggestions and queries and the team will get back to you right away. The customer representatives make sure that all questions are answered promptly. The website is dedicated to Bitcoin. This means there are no other cryptocurrency options you can trade with. Meanwhile, there is also one fiat currency present, which is USD. It makes sense due to the fact that Gemini is currently available to select states in the US. Various functions like the limit and market order shows that the website needs the bare essentials to work. There are no advanced trading types like stop orders. It displays the importance of simplicity and that makes the trading platform sought-after by many first-time and experienced traders. When it comes to trading fees, Gemini requires 0.25 percent per trade. The fees are stable thanks to the liquid platform. This means you can concentrate on your trades and earnings without thinking of the additional costs. The platform accepts USD payments and ACH transfers. 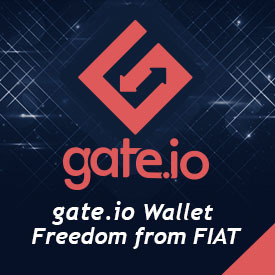 This mode of transfer is free, and the exchange platform does not apply any additional charges. On the other hand, the platform enforces a small withdrawal fee for wire withdrawals, while bank transfers amount to $15 to $25. Deposits are usually quick and allow traders to start buying and selling bitcoins in no time. Gemini is a secure Bitcoin exchange. It has every essential feature for you and promising traders. Simplicity is the key here, and that’s what the site reflects. If you want to start trading bitcoins the right way, this platform should be on top of your list. Do not hesitate to try it out. Sign-up to find out more about Gemini’s features.